DETROIT — As word spread Monday that General Motors is closing three assembly plants, including Detroit-Hamtramck, its roughly 1,500 workers were at home on Thanksgiving break — watching the news roll in like everybody else. Before sunup, Buicks, Chevys and even a soon-to-be discontinued Volt streamed down Harper Avenue for the start of the 6 a.m. shift at the plant off of Interstate 94. “We don’t want to be laid off,” called out one woman as she sped past. Every day, line workers in Hamtramck make the Chevrolet Volt and Impala, the Cadillac CT6 and the Buick LaCrosse, all of which will be terminated. Landon, 55, has worked on the line for nearly four years. She’s a GM girl, she said — she owns a 2018 GMC Acadia and and a 2007 Chevy Monte Carlo. But to hear of the closing with no warning was a slap in the face. Just two weeks ago, Landon said, the plant’s union representatives put rumors of layoffs to rest with a letter to workers. And then came the surprise yesterday. She hasn’t heard a “peep” from the union yet, she added. Landon’s kids are grown and she owns her own house in Redford, so she’s not as worried about herself as some of her friends. People depend on the income to pay off mortgages, to raise their kids. The mood in the plant today will be foul, she said. Worker Chris Monroe learned of the closing in a text message from a friend. He’s been at the plant for just a few months and works to prepare parts to be sent to the line. But his reaction was more one of resignation than shock. More than 6,200 jobs are up in the air: 1,600 in Lordstown, Ohio; about 2,500 in Oshawa, Ontario; and a total of 645 at transmission plants in Warren and near Baltimore. In Oshawa, workers walked out in protest yesterday as word went around. 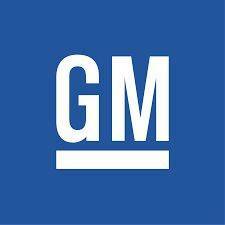 GM noted that UAW workers may be able to transfer to other plants that are building trucks and SUVs, citing factories in Flint and Arlington, Texas, as possibilities. The production cuts are part of GM’s strategy to become more “agile” and invest more in autonomous and electric vehicles, said CEO Mary Barra. The Detroit-Hamtramck plant has a particularly contentious past. Back in the 1980s, its 300 acres were part of a Polish neighborhood known as Poletown that was razed to make way for the company. Despite the cuts, Landon went to clock in just before 6 a.m. seeming determined. “You gotta understand, everybody in here’s a survivor and they’re going to survive no matter what happens,” she said.